Looking for a cool way to celebrate World Book Night? Join UBC for the final Visiting Author event of the season as celebrated Kelowna author Alix Hawley reads from her works. The reading is among a trio of literary tributes celebrating the work of authors and poets on Tuesday, April 22, at the Alternator Centre for Contemporary Art, 421 Cawston Ave., Kelowna. The evening will also see announcement of the winner and two runners-up for the Okanagan Short Story contest. As well, UBC creative writing students will read from their class project #Vherbage!, and launch their collaborative digital writing site that explores the psychosocial, animate lives of plants. 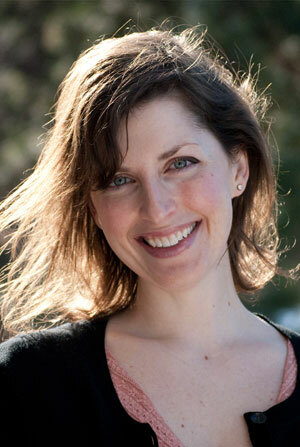 7:15 p.m. – Visiting Author Alix Hawley reads from her works. Hawley was one of five finalists for the English 2014 and 2012 CBC Short Story Prize. Her upcoming novel, All True Not a Lie In It, a first-person account of American frontier hero Daniel Boone's captivity by the Shawnee, will be published this spring. Hawley has also authored a critically acclaimed short-story collection, The Old Familiar (Thistledown 2008.) A teacher of English literature and creative writing at Okanagan College, she lives in Kelowna with her family. The evening’s event, which includes snacks and refreshments, is free and open to the public. April 23 is World Book Day, also known as International Day of the Book. The commemorative was created in 1995 by UNESCO to promote reading, publishing and copyright. World Book Day pays world-wide homage to books and authors, encouraging everyone, particularly young people, to discover the pleasure of reading and gain a renewed respect for the irreplaceable contributions of those who have furthered the social and cultural progress of humanity. This date was picked due to its significance as the anniversary of the deaths of literary giants William Shakespeare and Spanish authors Miguel de Cervantes and Inca Garcilaso de la Vega, in 1616.